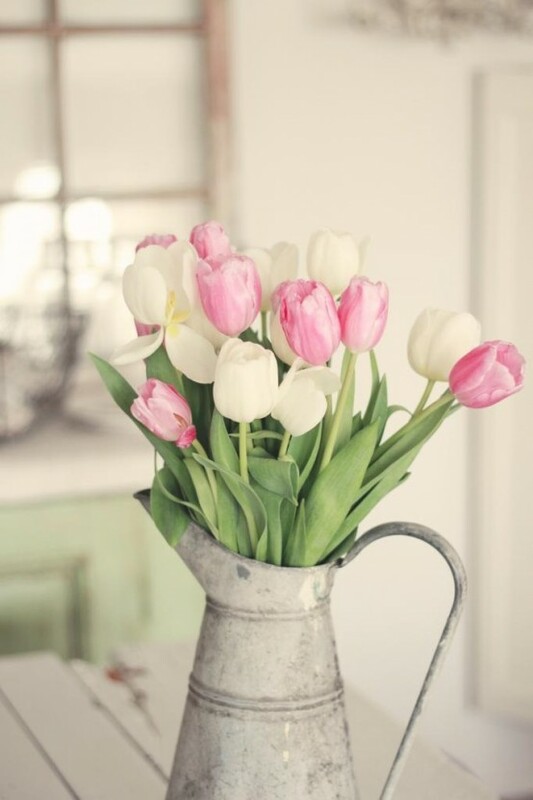 After a long winter, color is a welcome sight around the home. 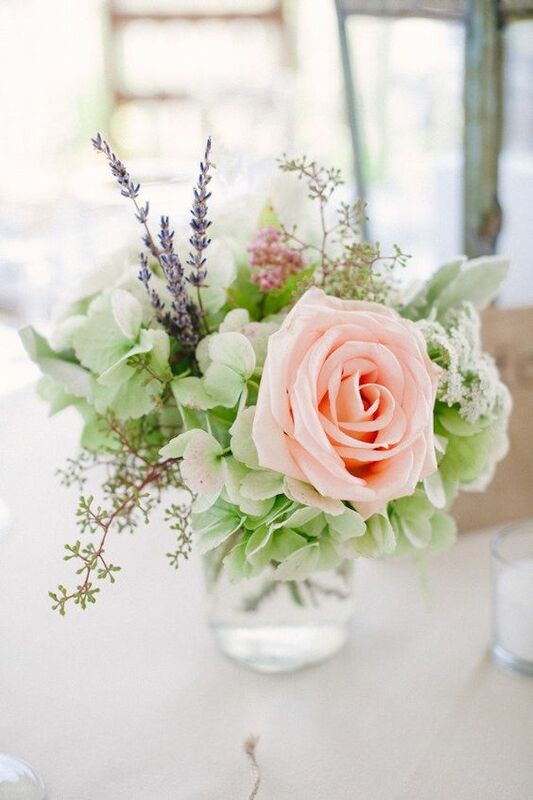 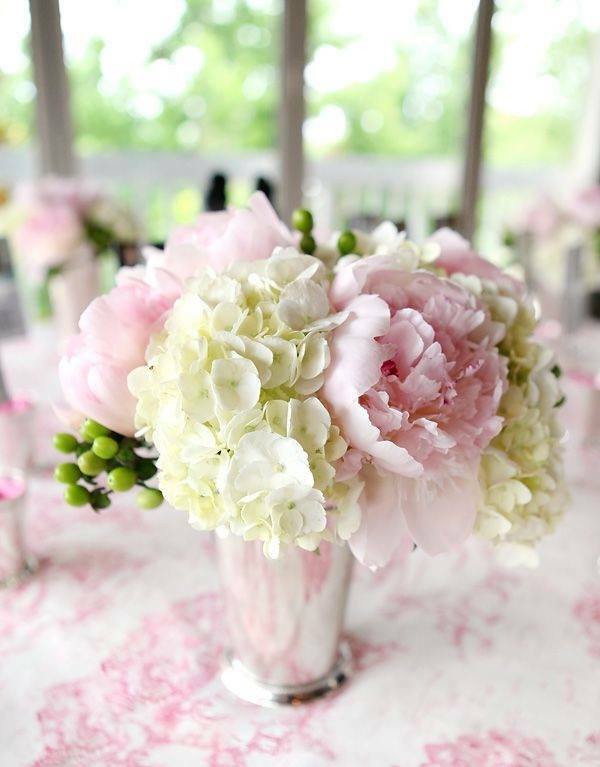 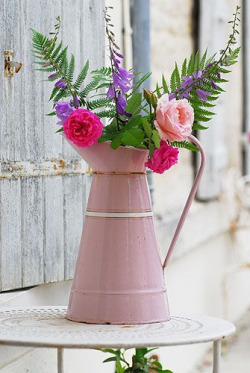 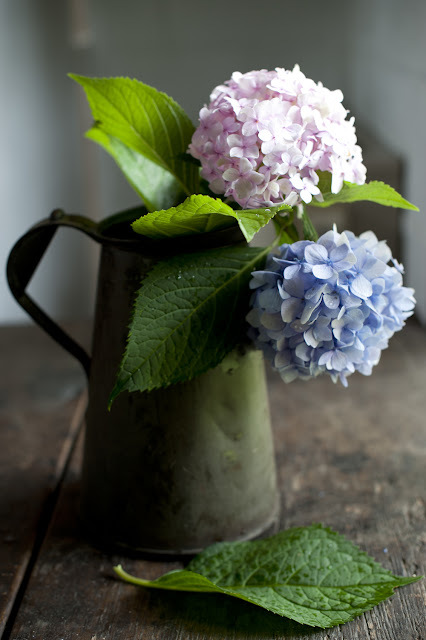 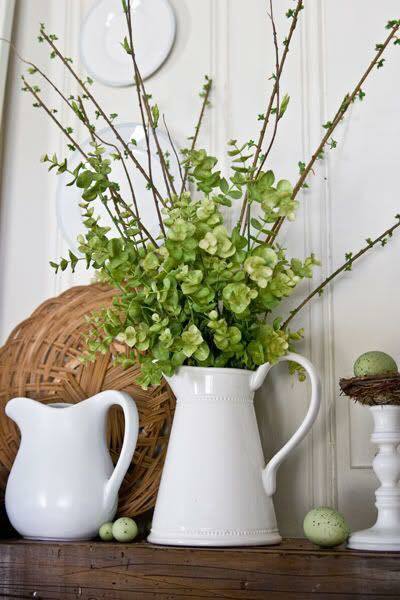 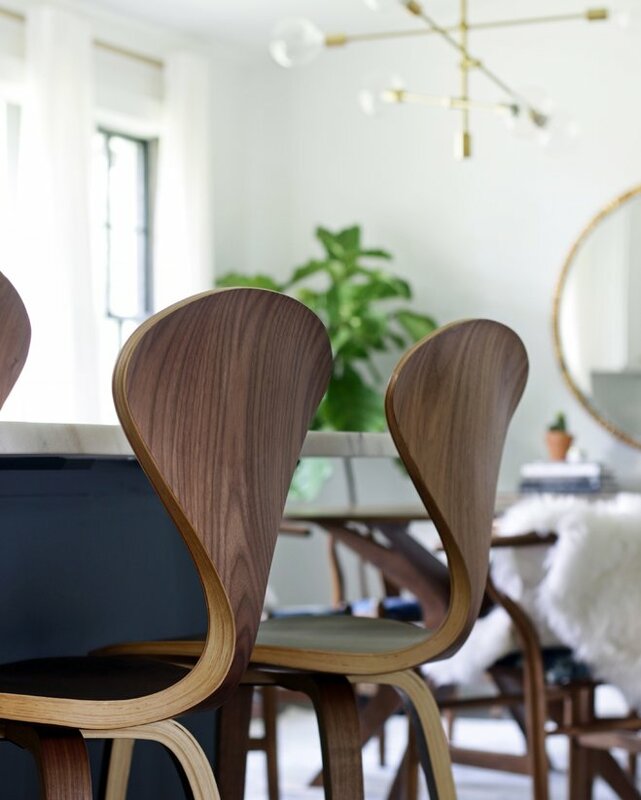 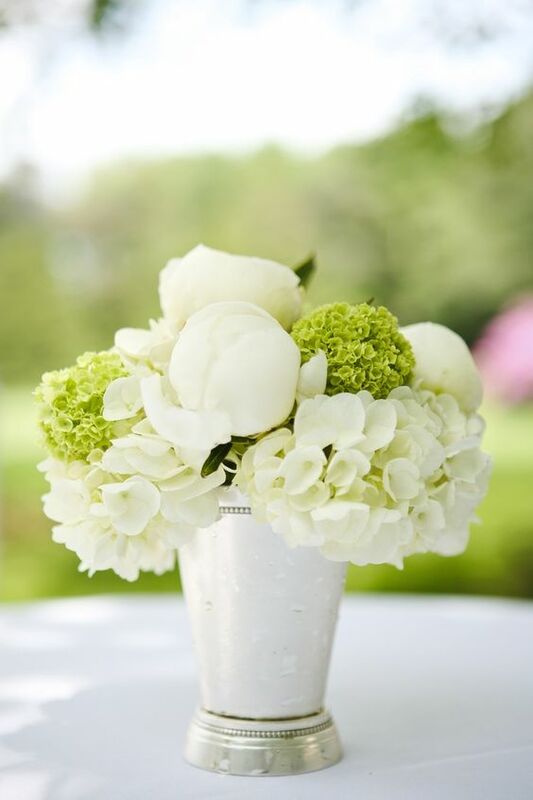 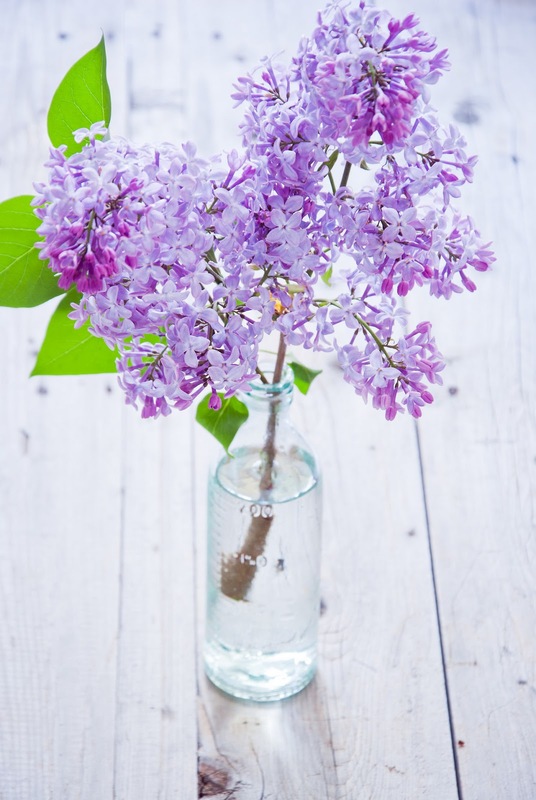 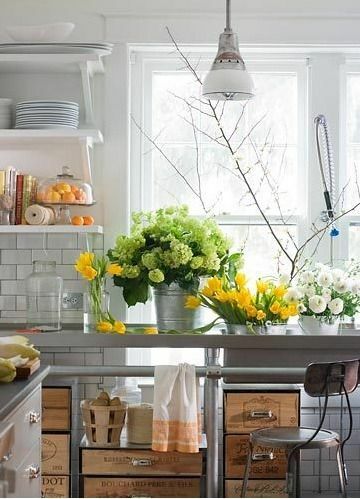 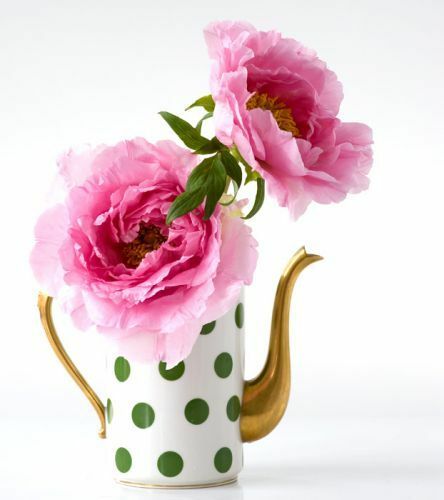 Flowers put a spring in your step and here several ideas to inspire you to grace your home with Spring florals. 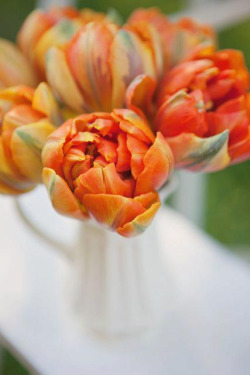 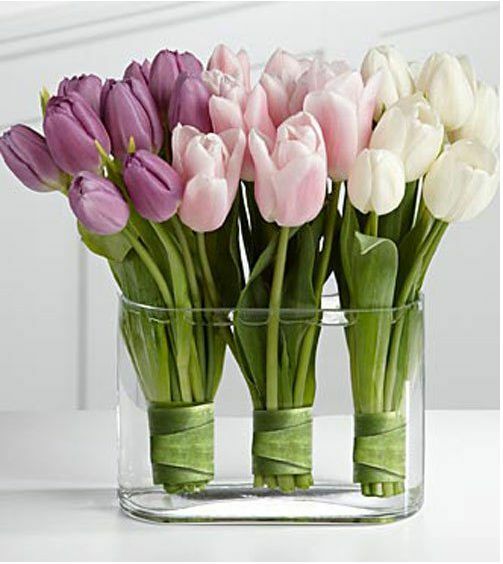 Wrap one tulip leaf around the stems to hold the bunch together! 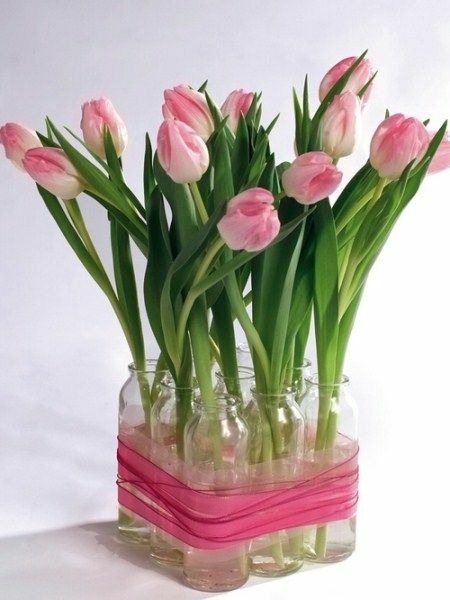 Vases tied together with ribbon!